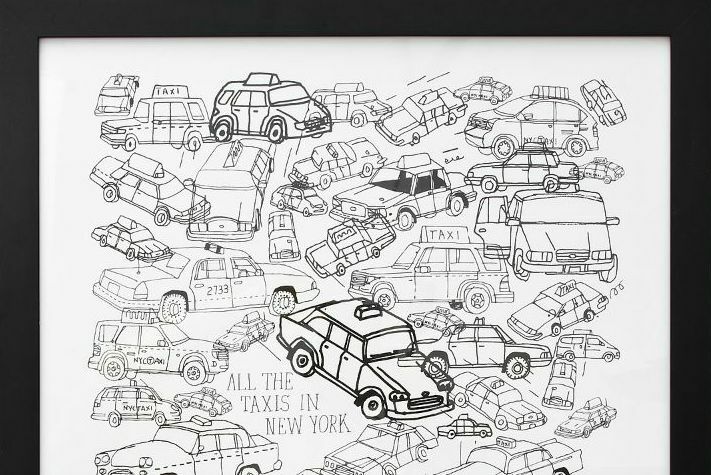 Although in daily life you’re more likely to curse cabs than celebrate them, this cool print by illustrator James Gulliver Hancock highlights the charms of the city’s yellow icon. 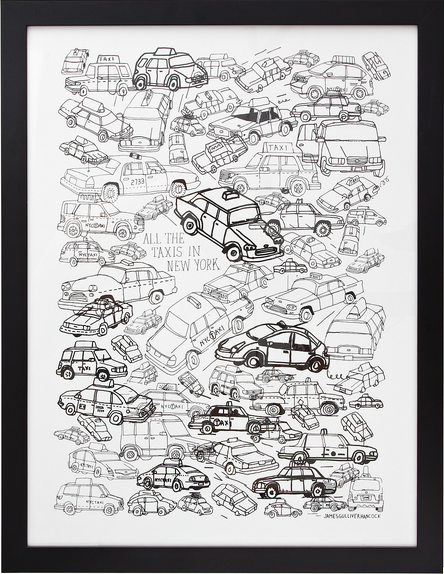 Featuring the cab designs of today and yesteryear, this wonderful print is a work of art and a pretty accurate representation of just how nutty NYC traffic can get. The poster is a hand-pulled in Brooklyn using a one-color silkscreen on French paper measuring 25″ H x 19″ W. You can purchase one of these prints framed or unframed here. And be sure to check out more of James’ whimsical works here.